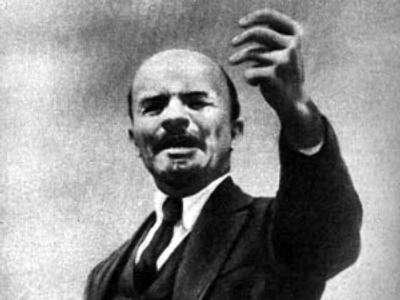 Britain has chosen Lenin's birthday to bring back taxes on the rich. Governments from the UK and Europe to the US have been busy bailing out wealthy financiers. Now they are facing tough social and political choices. Tax the rich or tax the rest of us? That was the question for UK finance minister Alistair Darling as he outlined the governments finances on Wednesday. Over the past decade, the UK government has been happy for the super rich to pay 10% tax (recently raised to 18%) compared with 40% for the ordinary middle class. It feared if it asked the rich to pay the same tax as everyone else, they would leave the country. There are relatively few rich people, the government says, it would gain much anyway from taking them more. Seen this way, taxing the rich is more symbolic: the politics of envy, popular but pointless. But all governments desperately need money so Tax The Rich is back on the agenda. Lenin’s Birthday, April 22nd, was the date chosen by the UK government to bring back taxes for the rich for the first time since former UK Prime Minister Margaret Thatcher slashed them in the 1980s. Darling announced a new 50% top rate of tax for those earning more than 150,000, equivalent to $200,000. Tax specialists at the Institute for Fiscal Services say it will raise 3 Bln at the most, a drop in the ocean when the UK faces a budget deficit of 175 Bln. The IFS says it would be more efficient raise taxes on a broader range of people. But that’s madness. The Irish government increased taxes on middle class people by 2% – or $200 a month – in the middle of a recession. These politicians belong in an asylum. While there is a RISK that taxing the rich would cause them to leave the country, we know for CERTAIN that boosting taxes on the majority will make this recession worse. The government has a gap in its coming year's budget of 175 Bln that’s the gap between its income and its spending. And it can’t find the money. The one thing governments could do is cut spending. However, UK politicians face a general election next year and the Labour government regards public sector workers as key voters. So it will borrow 200 Bln by selling gilts, or government I.O.U.s. That’s such a large sum that it could mean financial markets raise the interest rate they charge the government. Because of the way the financial markets work, that would push up interest rates for everyone. Governments clearly do not want to cut spending. Despite plans to spend about $3 Trillion (that’s three thousand, thousand million), President Obama has asked the US Congress to look for ways to save just $100 Million. When the G20 leaders met in London last month to congratulate each other on their handling of the economic crisis, their biggest, almost only, achievement was to increase funds available to the International Monetary Fund which lends to governments. So far, the only measure western governments have agreed upon, is to borrow huge sums and then print money to pay it back. Despite a series of small measures like increasing the tax on beer, that's essentially all the UK chancellor has done.